THI is an American hypnosis and hypnotherapy school offering nationally and internationally recognized online home study certification training. Enroll to become a Certified Hypnotist, Certified Hypnotherapist and Certified Clinical Hypnotherapist. The Transpersonal Hypnotherapy Institute ® was founded in 1990 by Anne Salisbury, PhD, MA, MBA, NLP, CCHt after completing her MA in Transpersonal Psychology and making an extensive study of hypnotherapy. Over the next few years she and Yukio Hasegawa, MA, NLP, CCHt co-developed the system which is known today as Transpersonal Hypnotherapy. Trainings were offered on-campus in Arizona, Colorado and Hawaii throughout the ’90s. Thousands of certifications were awarded to individuals who came to study from around the globe. 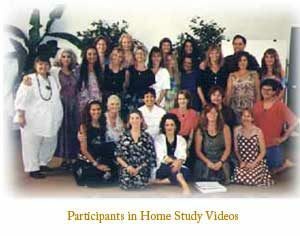 Then in 1996 home study programs were introduced, utilizing the professional video recording of live classes. These online home study courses are extremely effective and the material is timeless, so they are offered to you today. THI is a recognized leader in the field of hypnotherapy education. The curriculum of this hypnosis school is approved and regulated by the Board of Education (Colorado Department of Higher Education, Private Occupational School Board). The curriculum is based in Transpersonal Psychology, and it utilizes powerful psychotherapy, hypnotherapy and spiritual techniques. You learn a variety of methods so you can easily determine each client’s particular needs and apply the most appropriate technique. This means you can have satisfied clients who realize dramatic results. The trainings of THI are based in home study, a format which is being used by universities nationwide (online trainings, distance learning programs, distance education, independent study, correspondence courses). You can actually learn and retain more when you have the ability to rewind and re-watch professionally recorded trainings from the comfort of your home. The training videos are extremely detailed and edited. They include professional demonstrations and discussions. Follow along in the workbooks which include outlines of the demonstrations, review questions and exercises. THI holds the trademark for the name, the Transpersonal Hypnotherapy Institute ® and copyrights for the many written and recorded materials.